When Arizona Sen. John McCain died in August 2018 of brain cancer at age 81, he left behind his longtime wife, Cindy McCain, and his seven children: Doug, Andy, Sidney, Meghan, Jack, Jimmy, and Bridget McCain. John's gaggle of children were thrust into the limelight at early ages due to his senate career and presidential campaigns, but the spotlight didn't come easy for every sibling. Just ask John's youngest daughter, Bridget, who has lived the bulk of her life behind-the-scenes. Bridget's personality is a far cry from her older and more famous sister, Meghan, who joined The View in October 2017 after a long stint at Fox News. Given Bridget's penchant for privacy, it's fair people have questions about her background and day-to-day life. 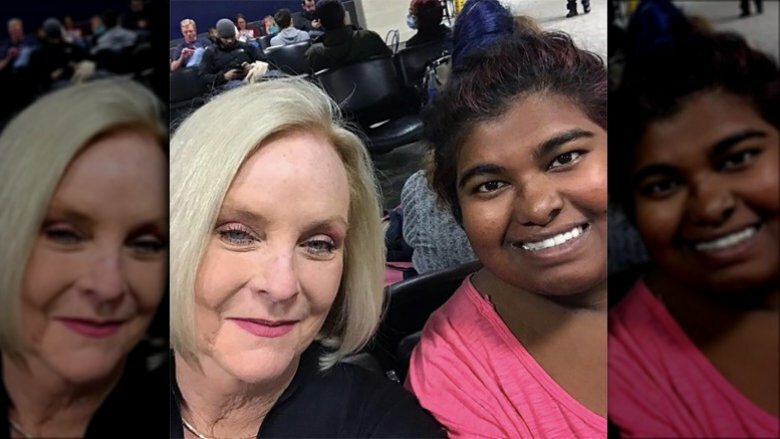 Although many people already know that the McCains adopted Bridget when she was a young child, the public might not be as familiar with the finer details of her adoption story and her upbringing in Arizona, the family's home state. From Bridget's schooling, to who she quickly bonded with after her adoption, there are many unanswered questions about her story. Ready to peel back the unseen layers of Bridget's life? Here's what you didn't know about John McCain's other daughter. 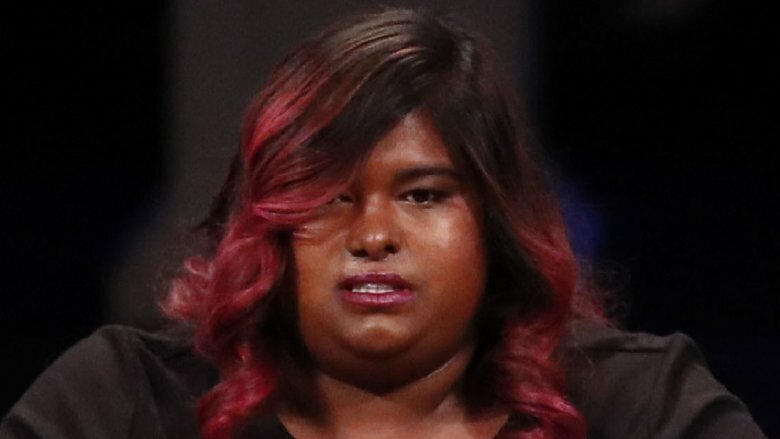 What's the real story about her adoption? Cindy and John McCain have always been transparent about Bridget McCain's adoption, a topic they frequently brought up during the late senator's 2008 presidential campaign. As the story goes, Cindy first met Bridget McCain at the Sisters of Charity of Mother Teresa Children's Home in Dhaka, India, during a trip in 1991. Cindy was immediately drawn to the 10-week old orphan with a "severe cleft palate," and she also felt a connection to another sick child. 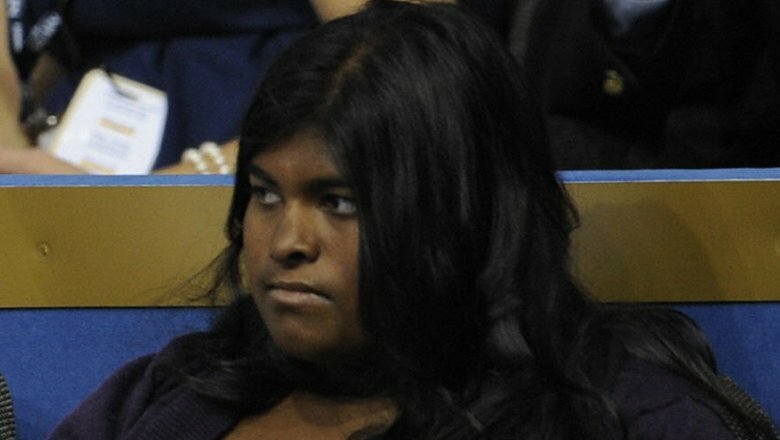 Cindy decided to bring both children home with her, noting at the 2008 Republican convention that the girls "captured" her "heart," according to NPR. Cindy and John adopted Bridget, while the other child, Nikki, found a home with Wes Gullett, a former McCain employee. There's no question that Bridget's adoption story is heartwarming. But we can't help but ask questions about Cindy's conflicting stories about the adoption throughout the years, particularly where it concerns the supposed involvement of Mother Teresa. HuffPost reported that, in earlier interviews, Cindy claimed "nuns persuaded" her to bring Bridget to the United States. This account — which she confirmed multiple times — changed in February 2008 during an interview with The Sunday Mail, in which she stated, (via HuffPost): "As only Mother Teresa can, she prevailed upon me to take this baby and another baby to the United States for medical care." Cindy also changed her campaign bio to reflect the claim, stating that "Mother Teresa convinced" her to take the girls home. Hmm. It's no secret politics can get dirty, a sentiment the McCain family knows firsthand. Case in point: In 2001, during John's fight to secure the Republican presidential nomination, a nasty rumor circulated about Bridget's background. After John won the New Hampshire primary over his opponent, George W. Bush, voters in South Carolina reportedly received a poll (per The Nation), asking, "Would you be more or less likely to vote for John McCain … if you knew he had fathered an illegitimate black child?" The question seemingly meant to imply that Bridget, who is dark-skinned, is John's "illegitimate black child." It's not clear who came up with the smear tactic, but some people believe that Bush's then political strategist, Karl Rove, was behind the scandal. Pretty despicable, if true, no? John addressed the painful rumor in an interview with DadMag, stating: "A lot of phone calls were made by people who said we should be very ashamed about her, about the color of her skin. Thousands and thousands of calls from people to voters saying, 'You know the McCains have a black baby.' I believe that there is a special place in hell for people like those." Sadly, Bridget found out about the rumor years later after looking herself up on the internet. "It just never clicked that she'd look herself up on the Internet," Cindy told Harper's Bazaar. "She was so upset, took it so personally." After Bridget McCain learned of the ugly campaign smear against her family, she didn't let the controversy break her spirit. To the youngest McCain sibling's credit, she persevered and adopted a practical attitude towards her dad's political ambitions, even going as far to lend her opinion before he ran for president again in 2008. "Fortunately, she's an awfully strong girl," Cindy McCain told Harper's Bazaar about Bridget's tough disposition. "When the family gathered to decide if we were going to run, she asked the campaign managers such specific, good questions, I thought, Whoa, okay!" Bridget's scrupulous nature was confirmed in a New York Times profile, in which the author detailed how she "summoned Mr. McCain's aides" for a meeting before the campaign kicked off. She reportedly asked the aides to "explain in detail what had happened in South Carolina" and "to give assurances that it would not happen again," subsequently proving herself to be a total boss. One person who probably wasn't surprised by Bridget's actions? Look no further than John, who gave her this proud father superlative: "She's the toughest … the youngest always has to be the toughest," he told DadMag. So true. 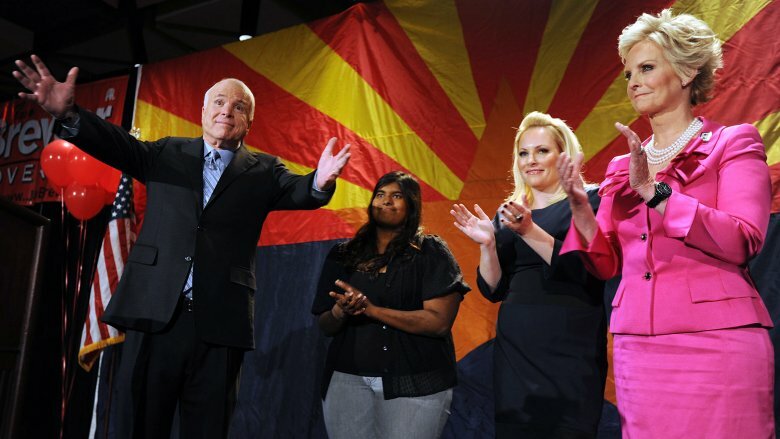 John McCain's eldest daughter, Meghan McCain, has never shied away from the limelight. From interning at Saturday Night Live to working as a conservative commentator for Fox News, the Arizona native is comfortable in the public eye. Meghan confirmed this sentiment when, in October 2017, she joined The View as a full-time co-host. As for Bridget McCain? She's the total opposite of Meghan in a lot of ways. Not only is her Instagram account private as of this writing, but she doesn't participate in public interviews or television appearances. Bridget stepped outside of her comfort zone, however, after President Donald Trump publicly attacked her late father's character. The drama came to a head in March 2019, when Trump said he "was never a fan" of John, according to NBC News. Since the deceased senator wasn't able to defend himself, Bridget took to Twitter to do the honors. "Everyone doesn't have to agree with my dad or like him, but I do ask you to be decent and respectful," she tweeted in part. Meghan later commended her little sister on The View, stating: "I think it's very brave of her. She's very young, and she does not speak publicly." No matter where your political beliefs lie, you got to give Bridget props for defending her beloved dad. Despite their personality differences, Bridget and Meghan McCain are extremely tight. Want some proof? Check out this sweet message the conservative commentator wrote to Bridget after she took President Trump to task on Twitter in March 2019. "Incredibly proud of my brave sister Bridget @bridgyyyyboo for speaking out against President Trump," Meghan penned on Instagram. "I love you more than I could ever possibly say. Your strength and grace continues to help carry us all through our grief." Aww. We definitely could use a tissue or two right about now. As it turns out, the siblings have always been close. Not only did they share a bedroom growing up, but Meghan helped Bridget move into college at Arizona State University. Meghan gave Bridget some sisterly advice about the transition, telling her, according to The New York Times: "'Do not put anything on Facebook you wouldn't want pasted on every gossip blog everywhere.'" Ace advice, big sis. 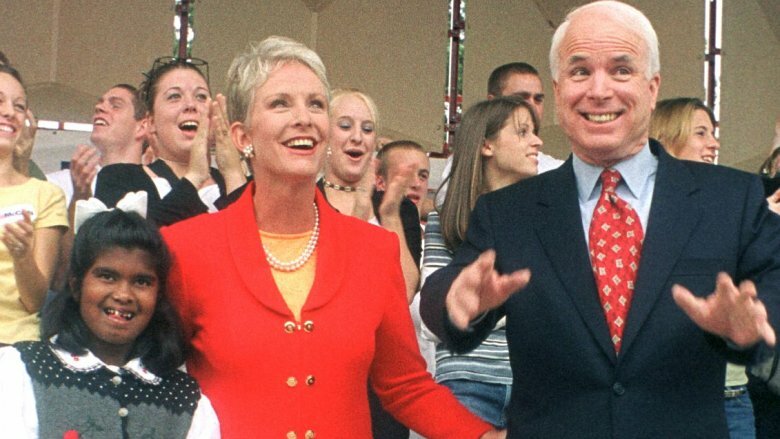 John McCain experienced a great moment of surprise when, in 1991, Cindy McCain went on a trip to India and came back home with a baby in tow. "She arrived and said, 'Say hello to your new little daughter,'" John recalled in an interview with DadMag. After the initial shock faded, John quickly developed a bond with little Bridget McCain. "I brought home a baby without telling him, and he not only took it in stride but loved it, immediately embracing Bridget, who shares John's very dry sense of humor, so she and her dad do pretty well together," Cindy explained to Harper's Bazaar. How sweet. As Bridget got older, she tried to include John in her personal interests by uploading music to his iPod. "Some of that music I'd never listen to in my wildest dreams," he told People about his daughter's love for Usher and other pop stars. "She pretty much thinks of me as a lost cause." Ha! We can't say we're surprised John didn't gravitate towards Mr. "Love in This Club." Hey, at least Bridget tried. Bridget McCain's educational background isn't widely known, so it's understandable some people have questions about whether she went to college. The answer? 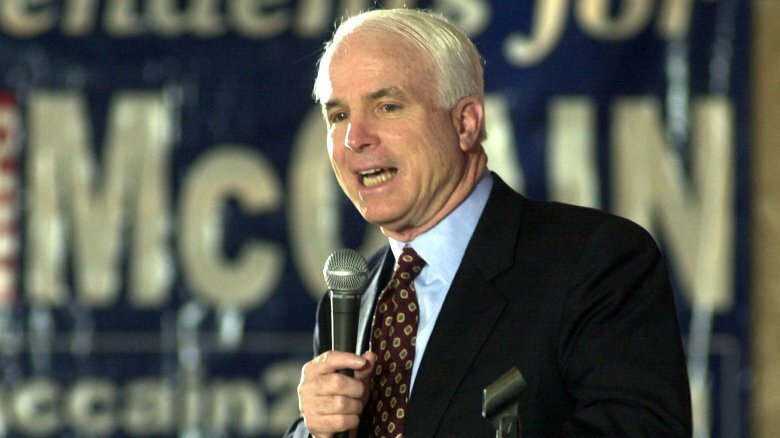 The youngest McCain started college at Arizona State University in Tempe, Arizona in 2010, as the Arizona Republic reported. 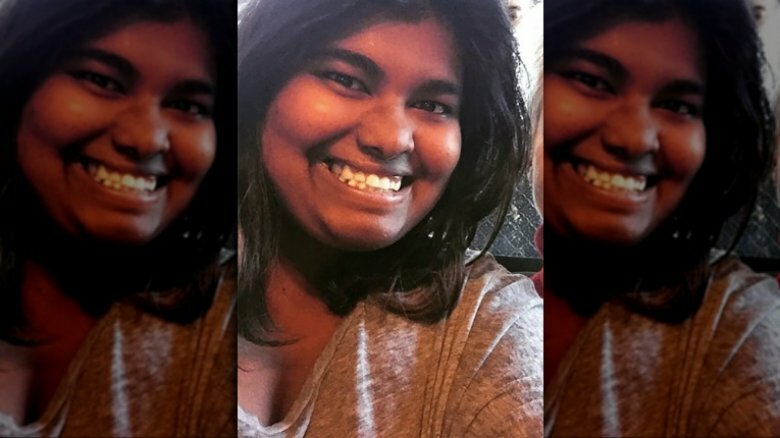 Bridget reportedly enrolled with an interest in special education, but her major hasn't been confirmed. If Bridget did study special education, it would have been a nod to her mother, Cindy McCain. The matriarch "holds an undergraduate degree in Education and a Master's in Special Education from USC and is a member of the USC Rossier School of Education Board of Councilors," according to the McCain Institute's website. 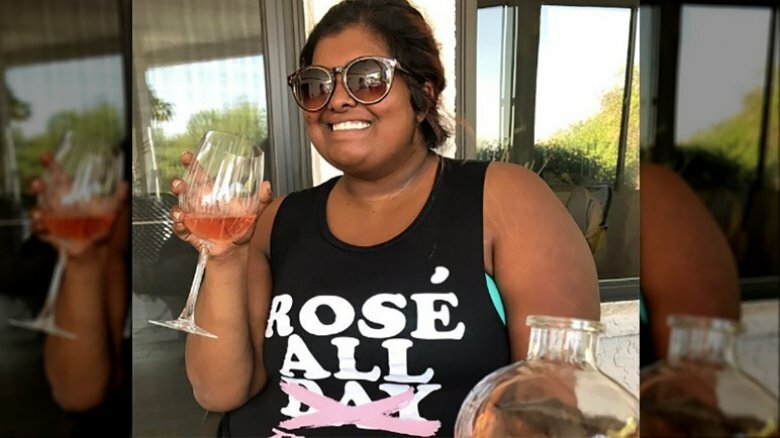 In a profile about Cindy for The New Yorker, it was noted that, after graduating USC, "she took a low-paying job as a special-education teacher" instead of landing a job at her dad's mega-profitable beverage company. We're not sure if Bridget graduated college or if she intends to work in the special education field one day, but she clearly has a great resource in Cindy if she decides to go down that road. John McCain launched a ton of campaigns during his political career, including two failed presidential bids. Although Bridget McCain was on the campaign trail for his first run in 2000, she was noticeably absent from his bid in 2008. As for why? It all boils down to Bridget's preference for civilian life. 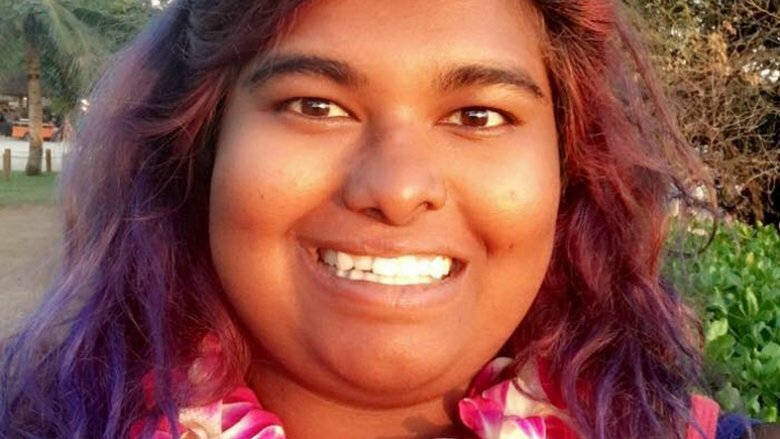 "School is awesome because of my friends," a then 16-year-old student told Scholastic News of her life out of the spotlight. 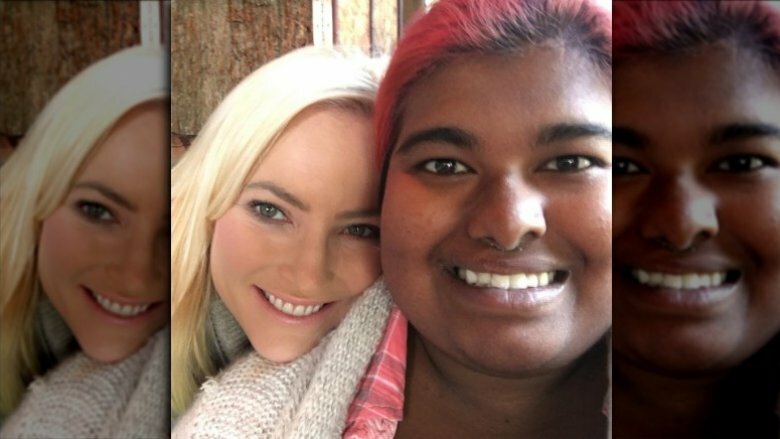 Bridget's interview with Scholastic noted that her now sister-in-law, Tess, watched over her while her parents and Meghan McCain campaigned together. The private sibling was described as being "thankful" that she got to stay home with her friends, which makes complete sense. Many teenagers can't stand being away from their pals, right? Despite Bridget's disinterest in campaigning, she was a big cheerleader for her dad. "My Dad's best achievement is being a dad and also running for president at the same time," she told Scholastic at the time. "He always puts family first!" No matter what Bridget McCain decides to do with her life, one thing is likely — she'll have a nest egg to fall back on if things ever go south. Bridget's wealth is based in the successful Hensley & Company, a Anheuser-Busch beer wholesaler and distributor based in Arizona. Cindy McCain's late dad— aka Bridget's grandfather — started the company, and each family member has inherited shares in the business. As of August 2008, Meghan, Jack, and James each owned 7.73 percent of the company, while Bridget had 3.4 percent, as The New York Times reported. A McCain campaign spokeswoman, Jill Hazelbaker, told the NYT at the time that "one day" Bridget's shares will equal her older siblings' stakes. To put it all in perspective, Hensley & Company boasts an impressive "$300 million in annual sales," according to the NYT. At a minimum, Cindy's 34 percent stake is worth $2.7 million, which means her kids are doing just fine with their own shares. And if Bridget ever needs a loan, she can turn to Cindy, who is worth a whopping $300 million as of March 2019, according to Celebrity Net Worth. Wowza.